ACT Policing is seeking witnesses to an aggravated robbery in Lyneham yesterday evening (January 3). About 9.10pm, a man walking through the Lyneham shops area on Hall Street was approached by two men. The men demanded cash and one threatened the victim with a knife. The victim complied with the demands and handed over a sum of cash and a mobile phone. The offenders fled on foot across Brigalow Street and Longstaff Street, towards Lewin Street. One offender was described as being a male of Caucasian appearance, 6’ (183cm) tall, possibly aged in his 20s or 30s, and of a slim build with pale skin. He was wearing a blue and grey ‘hoodie’ jumper with white writing on the front and back, blue shorts and runners. The second offender was described as being a male of Caucasian appearance, 5’6” (168cm) tall, possibly aged in his 20s or 30s, with tanned skin and short hair. He was wearing a grey and black T-shirt and black jeans. 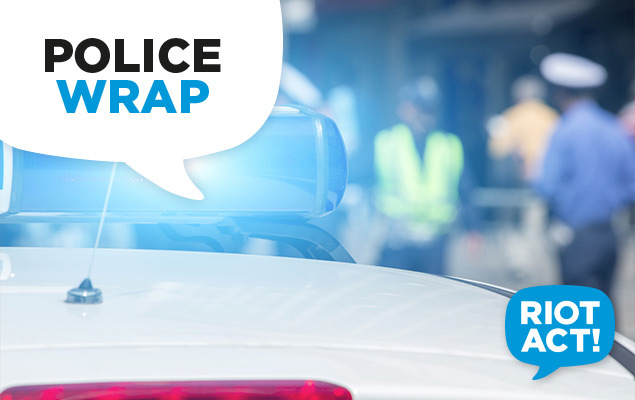 Police are also investigating a burglary at the Lyneham shops Mini-Mart, where two offenders damaged the rear door in an attempt to gain entry and then left the area when the shop alarm sounded. The offenders were of a similar description to the earlier aggravated robbery. Police are seeking to obtain CCTV from the Mini-Mart. Police are urging anyone who may have witnessed the aggravated robbery, attempt burglary or any suspicious activity in the Lyneham shops area to contact Crime Stoppers on 1800 333 000, or via www.act.crimestoppers.com.au. Information can be provided anonymously.